Aerial enterprises such as drone delivery and aerial imagery are poised to take off. The potential economic benefit of integrated unmanned airborne systems will generate an estimated $ 82 billion and create up to 100,000 jobs by 2025, while aerial imaging is expected to generate $ 3.3 billion by 2023. Driving that growth are new and expanding application areas. Aerial technology is transforming industries of all types by optimizing processes, cutting costs, and reaching both figurative and literal places that were once unattainable. Here are five industries that are being disrupted by this new, lifesaving technology. Disaster relief and humanitarian aid. Just days after Hurricane Harvey, location content companies captured the devastation left by the natural disaster to aid in emergency response and rescue, flood management, and FEMA fund allocation. In times of emergency, image captures can be used to navigate first responders and 911 emergency services as well as analyze road conditions. FEMA and disaster relief agencies can also allocate money based on examinations of the extent of devastation in an area. Earlier this year, Otherlab, an engineering research and development lab based in San Francisco, created the APSARA glider, an advanced, biodegradable cardboard airplane capable of carrying more than two pounds of supplies like blood and vaccines to those in need. The biodegradable drone can support canisters, medically sensitive liquids, batteries and other life-saving items and disperse them to an area the size of California. Now medical supplies can be delivered to rural areas without roads or regions rendered inaccessible by natural disasters or war. 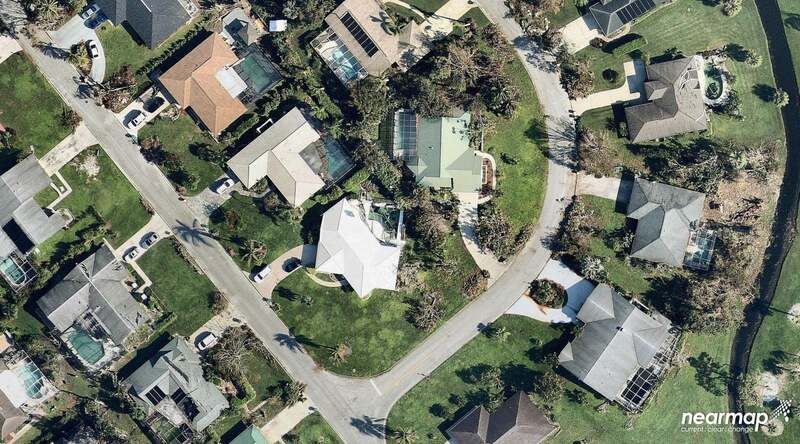 High-resolution aerial imagery, like these before and after images of Hurricane Irma, are being used to aid in emergency response and rescue, FEMA fund allocation and flood management. Local transportation agencies such as Orange County Transportation Authority and the District Department of Transportation in Washington, DC, are using aerial imagery as a base map — a collection of GIS data and imagery that form the background setting and orientation of the map. Aerial photographs integrated with third-party programs like Autodesk and Esri products help in project management oversight, planning and site analysis, and validating construction updates (lane, roadway and sidewalk updates). Realizing that the ocean is critical to human existence — the source of 97 percent of the planet’s water and producer of more than half of the oxygen in the atmosphere — it may come as a surprise that 85 percent of the ocean’s surface remains unmapped and unexplored. Aerial imagery has played a part in bridging that gap. High-resolution photos from aircraft camera systems can capture and retrieve surface current data and measure Doppler shift in waves. This method is cost-effective, timely and scalable; it can cover large surface areas. This process has implications for the oil and gas industry. Using the data extracted from the aerial captures, oil companies can plan and execute offshore exploration, conduct deep-water drilling operations, reinforce oil spill response and mitigation, and assist in search-and-rescue missions. The combination of machine learning and AI is changing the way the insurance and real estate markets answer questions at scale. 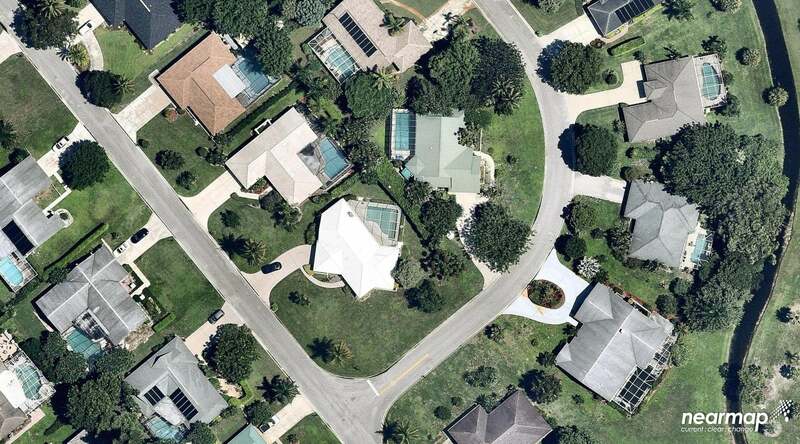 Now, with extremely high-resolution imagery, insurers can easily gather the most accurate, inspection-level property data, allowing assessors to easily identify characteristics and potential risks of a property such as swimming pools and the distance between trees and buildings. Cape Analytics, for example, has developed a cloud-based platform that provides an on-demand data stream of high-value property features and risks for real estate portfolios across the United States. Precision agriculture is a farming management concept based on the use of technology to increase crop yields and profitability while reducing a number of traditional components necessary for growing crops such as water, fertilizer, herbicides, and insecticides. Drone aerial imagery is key. Aerial pictures help farmers work smarter in tasks such as surveying entire farm properties, conducting soil and irrigation sampling, scheduling pesticide applications, and finding mechanical errors in equipment. Large companies such as Monsanto, John Deere, Bayer, Dow and DuPont are investing in precision farming technologies like software, sensors and aerial-based data. City water districts use aerial imagery to monitor crop production and water supplies and analyze aspects of the water budget. GIS and aerial imagery were used to create models and tools for the Coachella Valley Economic Partnership for examining and assessing the Coachella Valley Aquifer. These maps were used to estimate infiltration as well as change in land cover classifications and water depth surfaces, all visualized in 2D and 3D to find possible trends. As the aerial technology industry matures, it will only become more ubiquitous. The sky covers everything, from emergency response to public transit, oceanic discovery to large-scale farming and property assets. Sure, you’ll still get your package delivered, but the sky is opening up a world of other possibilities.